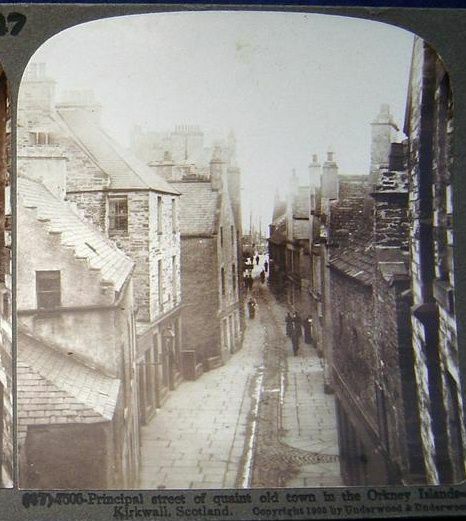 This is the right-hand side of a stereoscopic photograph of Bridge Street. When viewed together in the appropriate viewer the two images merge to give the illusion of three dimensions. It seems to have been taken from the top floor of Stevenson's building. I think Flett and Sons' old shop would have been new at this time.